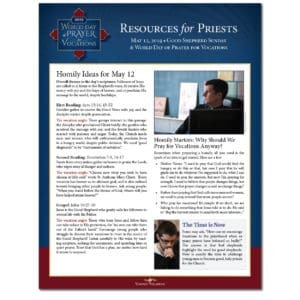 Packet of eight great resources to equip priests and parishes to celebrate World Day of Prayer for Vocations (Sunday, May 12, 2019). 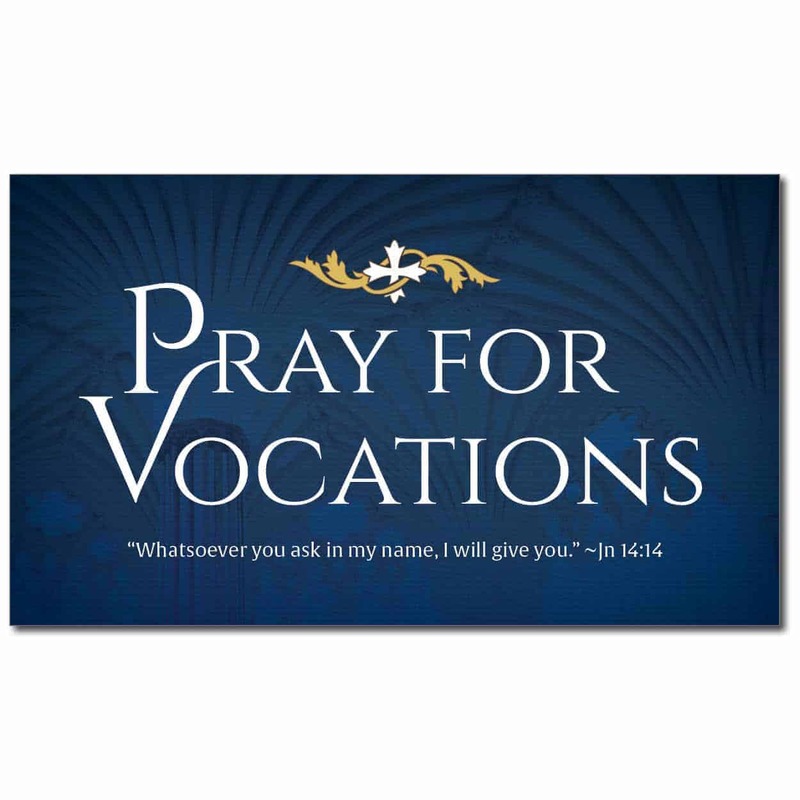 Pray for Vocations magnet - nice indoor magnet for the fridge! 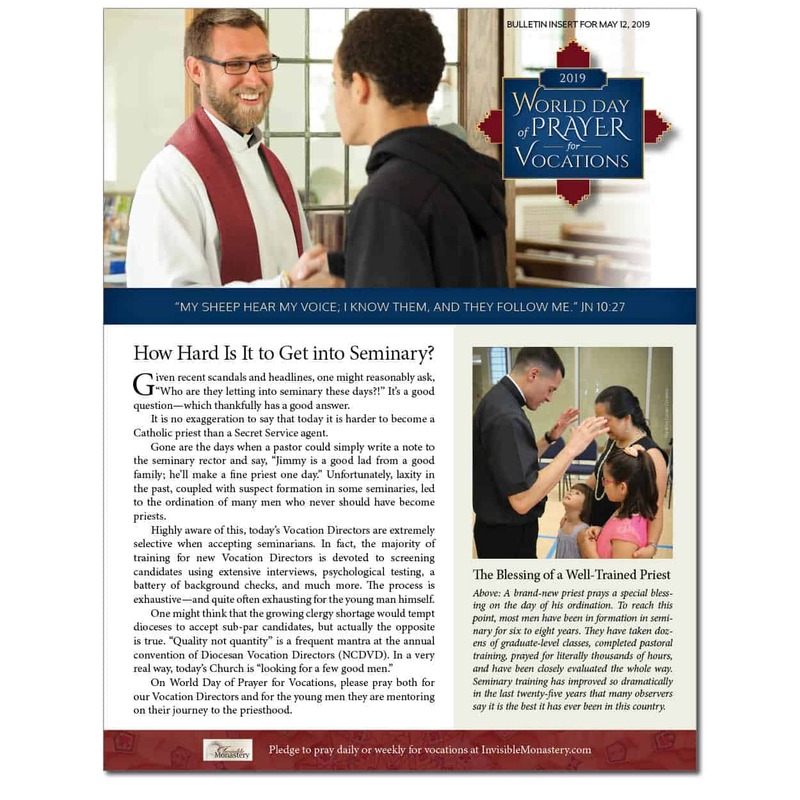 Cost is only $5, or $7.50 if we mail to parishes on your behalf. 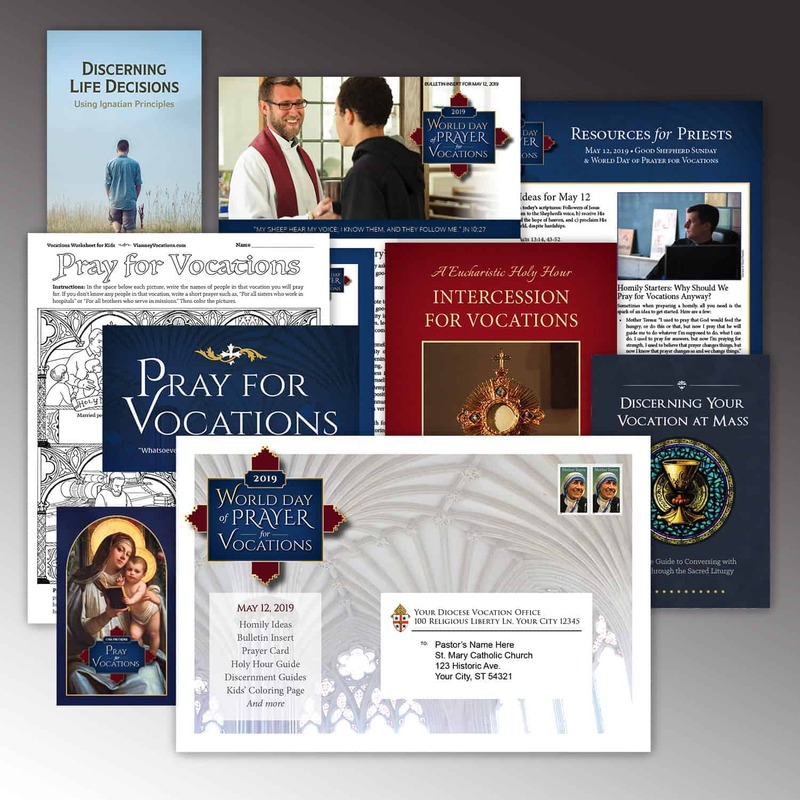 Just send us a mailing list, and we'll send you a cover letter that you can revise. 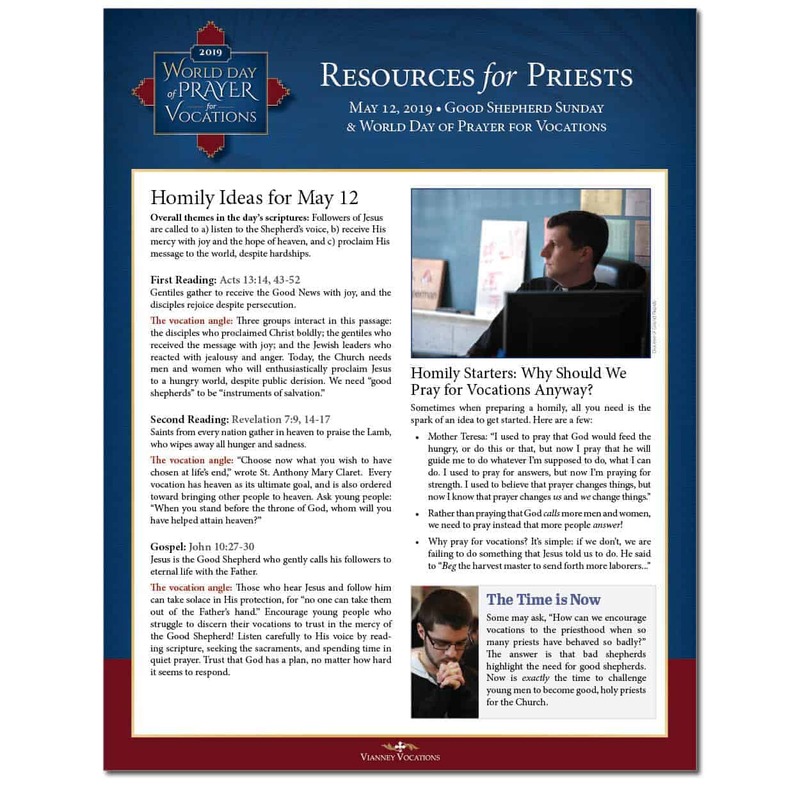 This information-packed resource page helps priests and parishes celebrate World Day of Prayer for Vocations (Sunday, May 12, 2019). 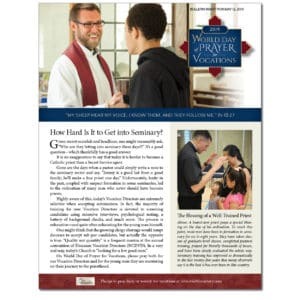 Beautiful two-sided insert features great photos and short articles to inform and inspire parishioners about vocations. 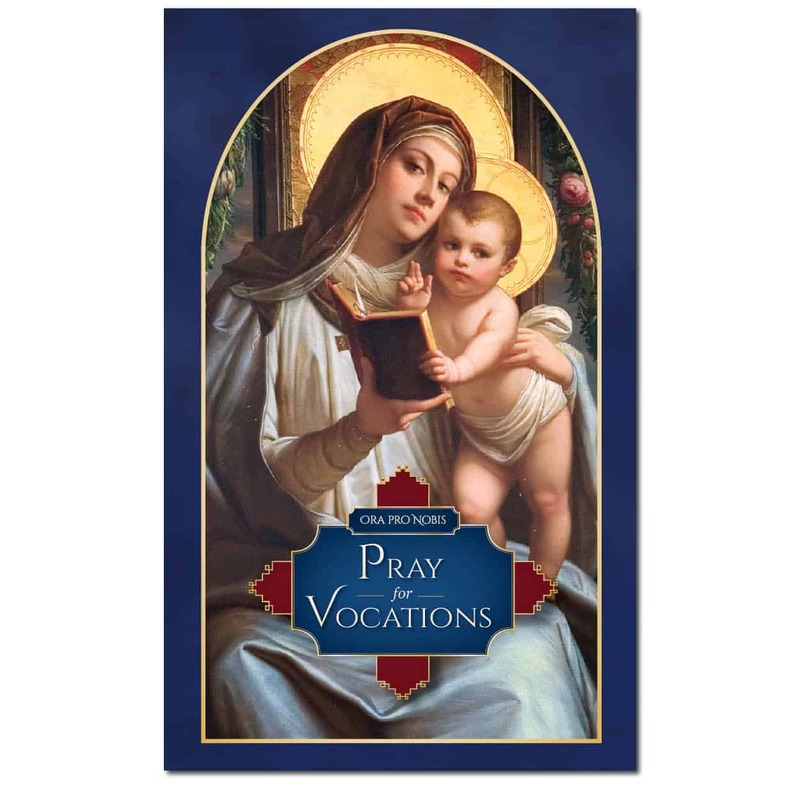 3”x5” card has a striking image of Mary and baby Jesus, with a short new prayer for vocations on the back. 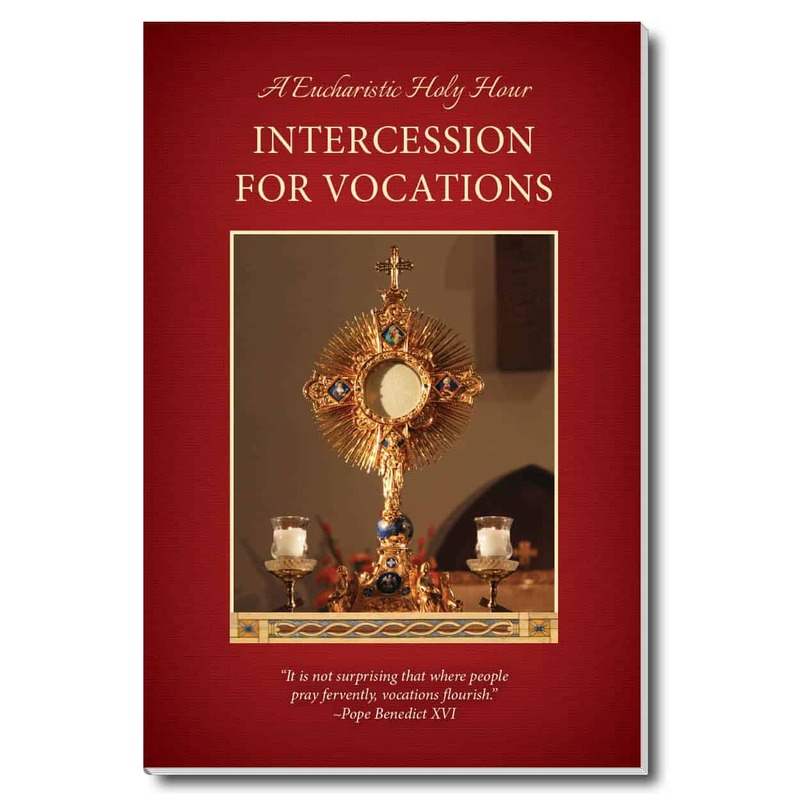 The booklet leads participants through a traditional Holy Hour, with all the standard prayers, but with vocation-themed readings and meditations. 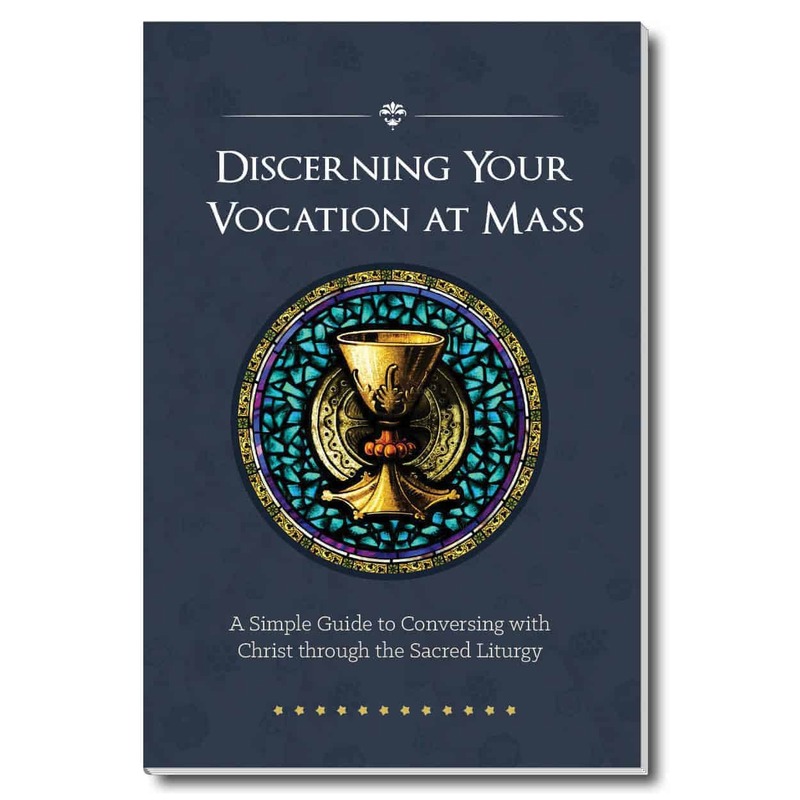 This short, readable guide shows how to prepare for Mass and focus on the "vocation question" during the Mass. 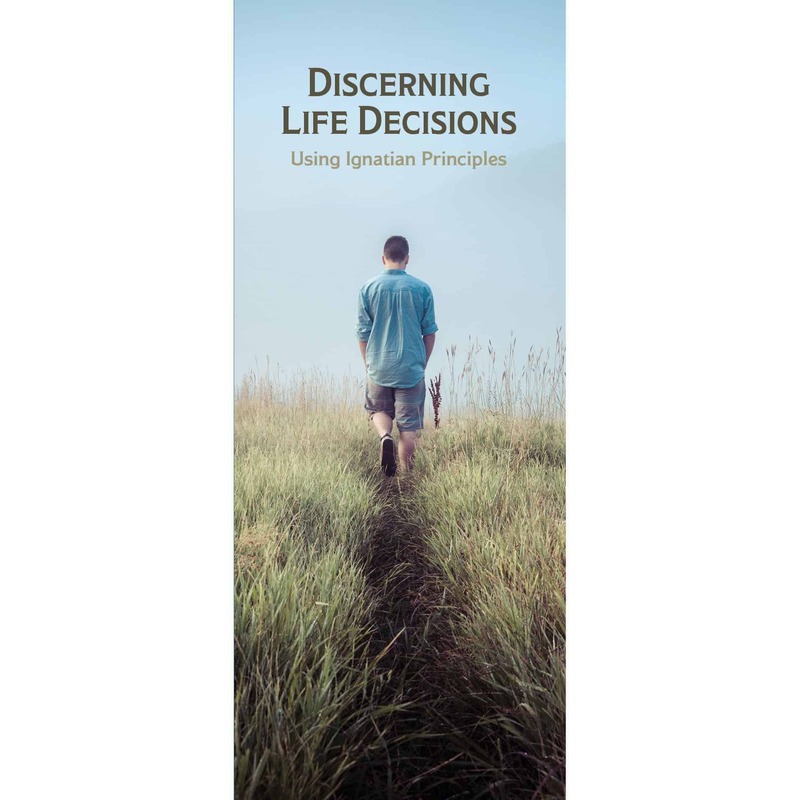 Four-fold brochure concisely explains how to approach big decisions using the three modes of discernment proposed by St. Ignatius. 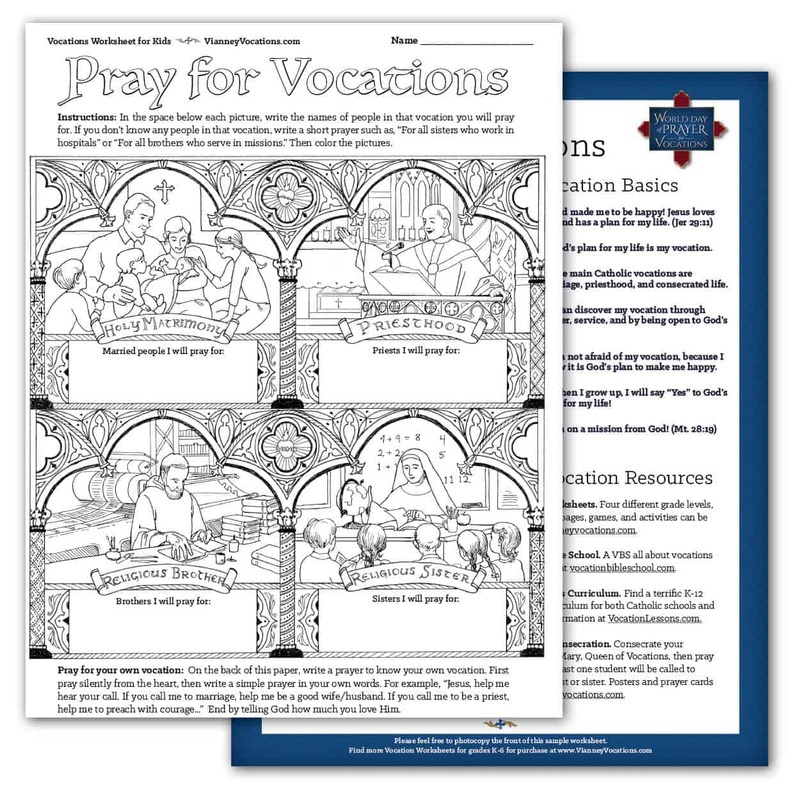 A terrific worksheet to help children learn that God has a specific vocation plan for each of them! 4"x7" indoor magnet is a great giveaway to remind parishioners to pray for vocations.